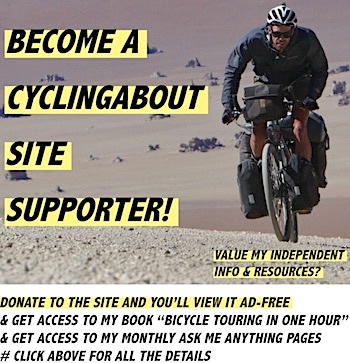 And if you live in Liberia or the USA you might appreciate the conversion – 580lb! So, What The Heck Is This Thing? 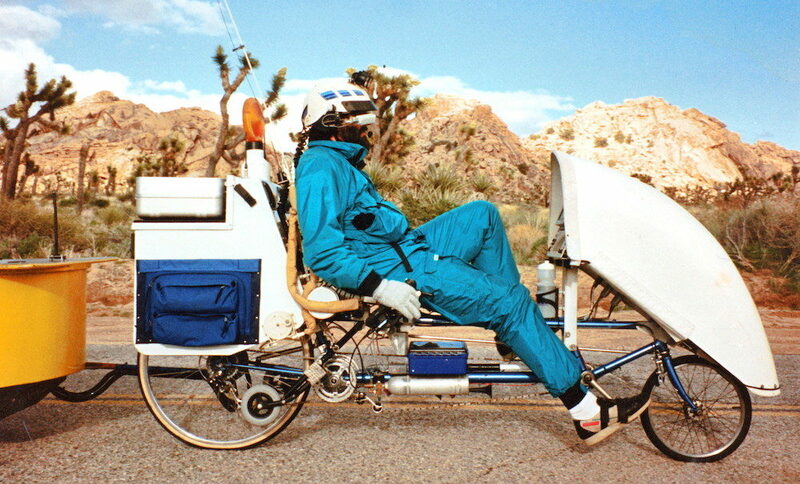 Short for “Big Electronic Human Energised Machine, Only Too Heavy”, this 105-speed recumbent touring bicycle also doubled as a home office for its owner Steven Roberts in 1991. I’m sure many will be wondering WHY this project came about. 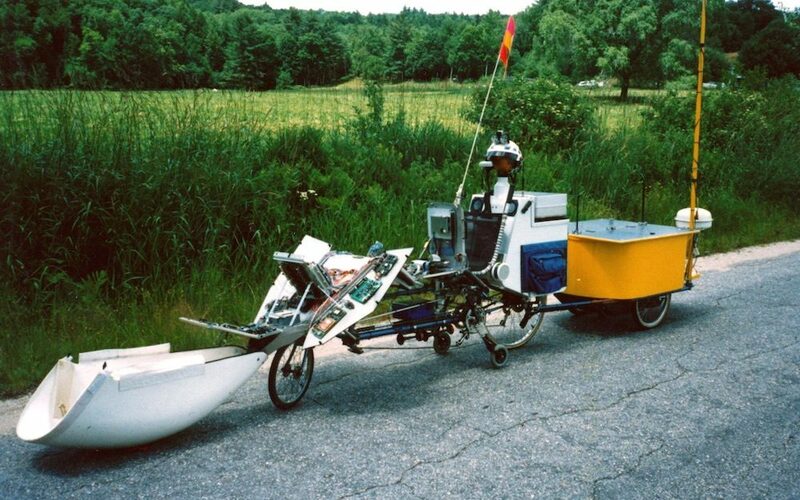 Steven wanted to combine his passion for computers to create a human-powered object where “computer and communication tools rendered physical location irrelevant”. 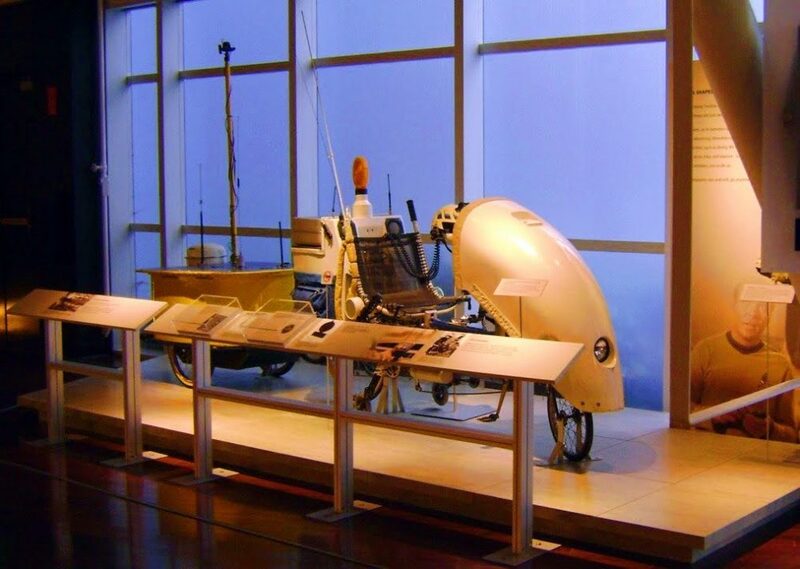 At the time it was revolutionary to have this level of technological mobility, especially for recreational use. Steven could check his emails and log onto online services anywhere, at any time. Nowadays it seems we take being connected like this for granted. It took Steven 3.5 years to finish off the build. It couldn’t have been done without the help of 45 volunteers and hundreds of sponsors donating computer technology to the project. The expected cost of BEHEMOTH is a staggering US $1,200,000 when labour hours are taken into account. In order to protect this million dollar bike, it had multiple security measures. The bike had a security system onboard and could alert the police all by itself with its coordinates if it were moved or disturbed. 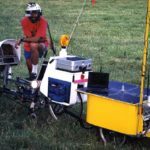 Steven ended up completing 27,000km (17,000mi) around the USA on BEHEMOTH, conducting all of his work as well as giving hundreds of TV, radio and print interviews along the way. He found his way around using road maps of the country stored on CDs and combined with a GPS chip, he was able to locate his position at all times. BEHEMOTH required some really low gears to carry 263kg of bike and computing equipment uphill. 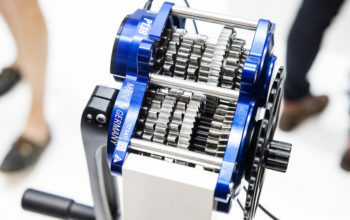 This was achieved by employing two sets of front chainrings (5+3 chainrings) in combination with a 7-speed rear cassette. 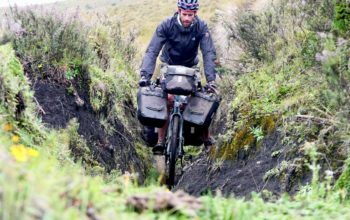 Stabilising a quarter-tonne bike at low speeds was always going to be a challenge. 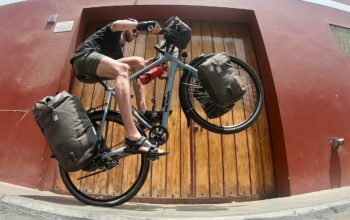 Steven used what he called ‘landing gear’ on either side of his seat both when travelling at low speeds or for when he needed to park up the bike. Just like on an aeroplane, these wheels used air pressure to drop from horizontal. All of the fairing was homemade using fibreglass over cardboard which saved costs, reduced weight and kept the electronics waterproof. In fact, Steven only had to cover the main computer screens when he rode in the rain. 01. Satellite station for email and SOS. 03. Trailer frame made out of steel. The cover is fibreglass covered cardboard. 2/3 of the space for camping equipment. 04. Battery bay with 30 amp hours of batteries (15 amp hours more at the Console). 06. Solar panels (72 watts). 07. 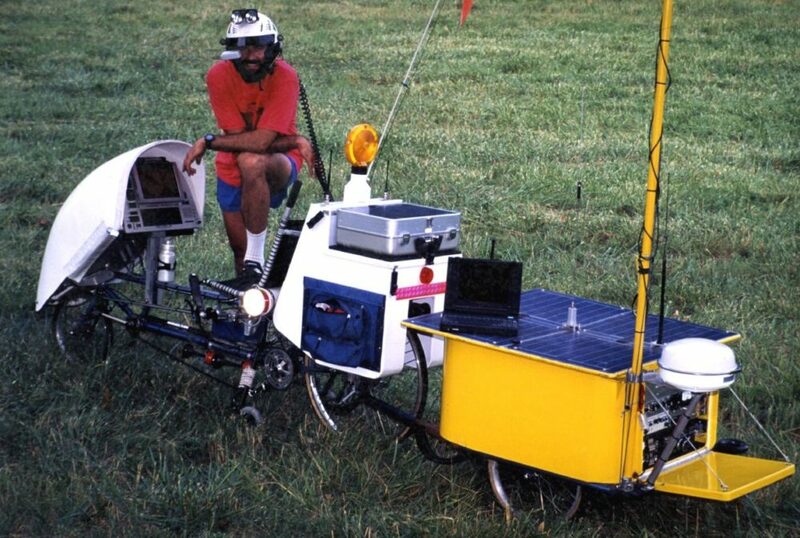 Antennae for ham radio, mobile phone and pager. 08. Removable briefcase with 10-watt solar panel lid and laptop computer inside. 10. Motion sensor for if people get within 3m (10ft) of the bike. 11. Stereo system, CD player and 150 CDs. 12. This side: Refrigerator. Other side: Computer with a 207mb HDD, CD-ROM and modem. 13. Brain Interface Unit (more below). 16. 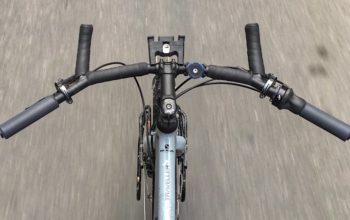 Handlebar keyboard built into the grips using binary code. 21. Console: Mac computer with 40mb HDD (graphics). 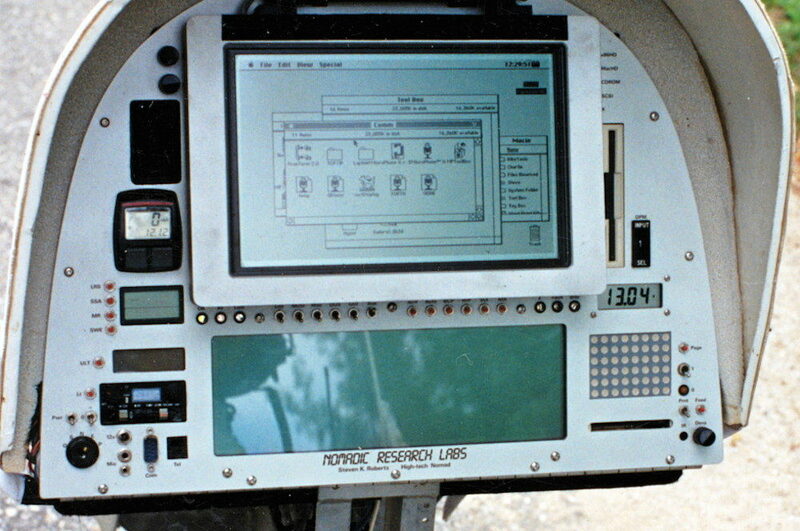 IBM computer with 40mb HDD (CAD, mapping, satellite tracking). Toshiba laptop for typing while riding. GPS chip. Speech synthesis and recognition. 30-watt beam headlight. Fax machine and modem boards. 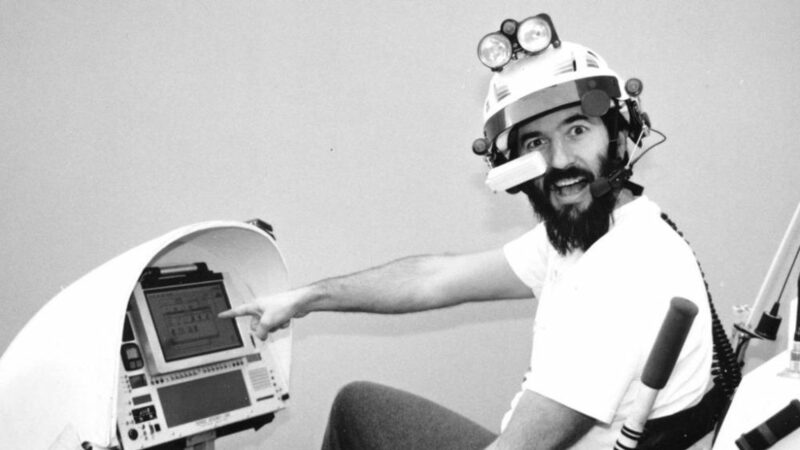 Nicknamed the ‘Brain Interface Unit’, the helmet itself was a masterpiece. On board was a PC computer operating the “private eye” – a heads-up display where Steven could see what he was typing while riding along, as well as check his emails (Google Glass anyone?). But the screen wasn’t all about words; motion sensors on either side of the helmet allowed the control of a mouse. 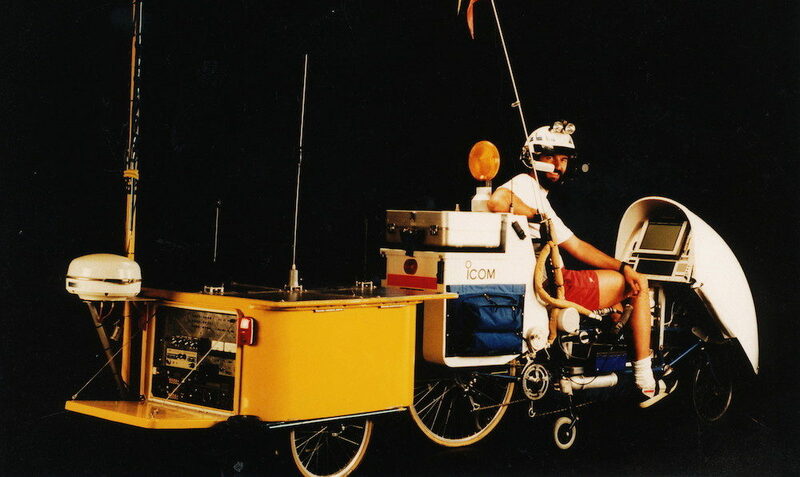 The helmet was topped off with a microphone, speakers, rear vision mirror and lights. One of the most interesting features of the helmet is how Steven kept his head cool on hot days. Ice water from a 7-litre storage tank under the bike was pumped up and circulated through a helmet liner. Typing was also unique on this bike. Steven built a keyboard on the handlebar grips that rather than having individual letters, used only a few binary keys. Typing worked out at about half-speed to a regular keyboard (which sounds pretty quick to me). “It would be so much lighter that it would probably look quite normal… still with solar panels and a little console for ham gear. I’m not sure I’d bother with the binary handlebar keyboard anymore… back then, it was the only reasonable choice since speech recognition was awful and power-hungry. I’d still have a heads-up display… that tech has gotten pretty sweet. I’d stick with recumbency and that general design, though of course, the bike tech would be far more advanced in terms of the groupset. Excellent lights and integrated comms. I’m not sure about the trailer. 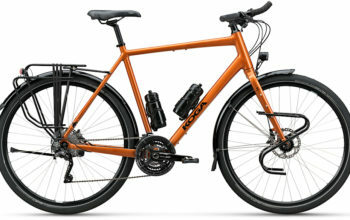 Getting a lot of load off the bike was nice, but at the expense of added rolling resistance, more tires of different size, much more overall weight, more hassles in motels… if I were doing it now, I’d take a hard look and getting minimal enough to avoid that, but I really don’t know the answer. A lot of the bulky stuff would go away or be considerably reduced… that BEHEMOTH trailer had the huge Qualcomm satellite base unit, a pack of CDs, lots of tools including Makita drill and lab stuff, a portable oscilloscope, a fat laptop, and a monster dome tent big enough to hold the bike. All tiny or unnecessary now. 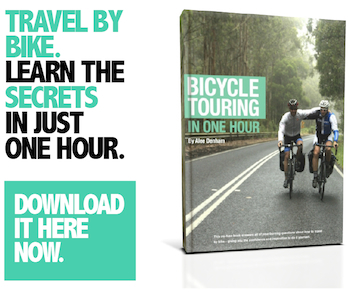 Steven has lots of information about the bike on his website Microship.com and for a good overview of the details I’d recommend watching this 42-minute interview from the Phil Donahue Show in 1992. If you live in Calafornia (USA) you can visit BEHEMOTH at the Computer History Museum! BEHEMOTH now lives in the Computer History Museum in the USA.